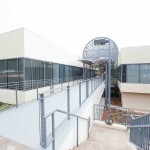 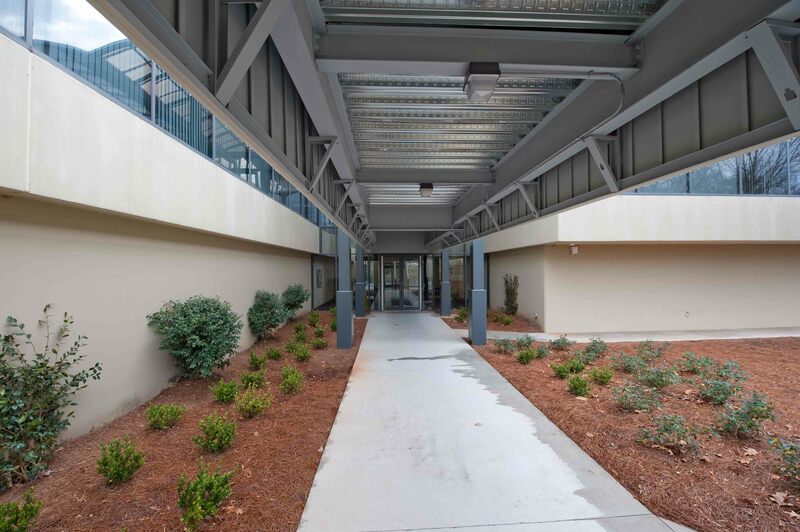 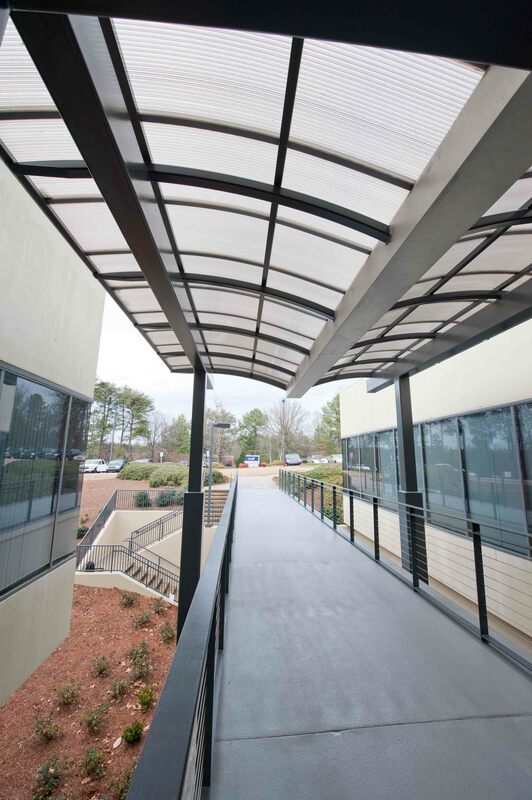 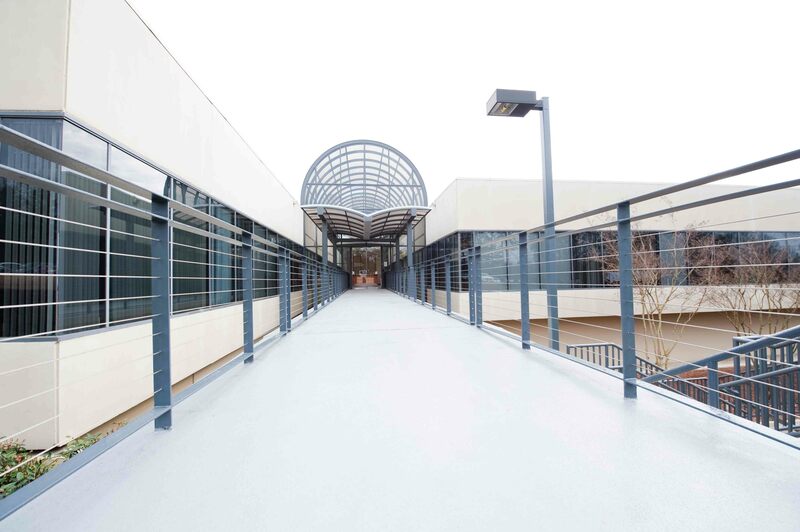 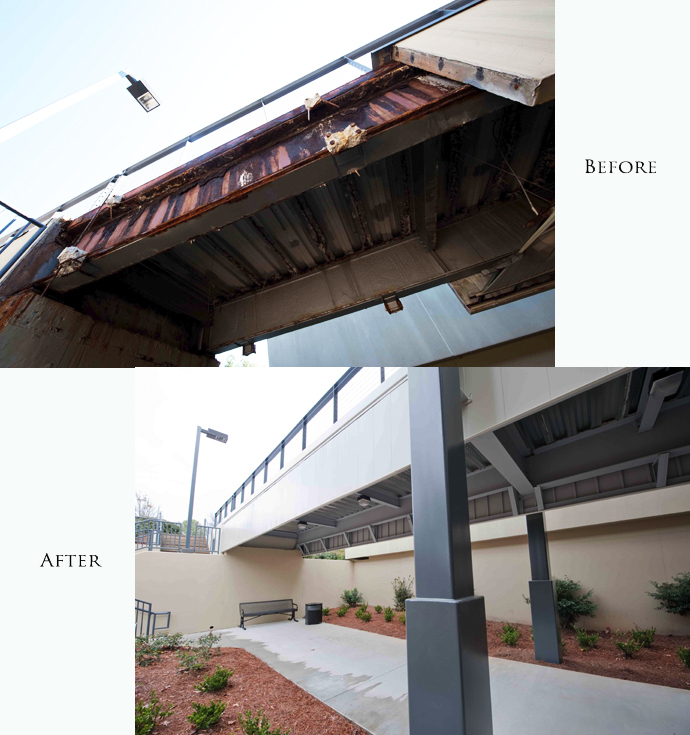 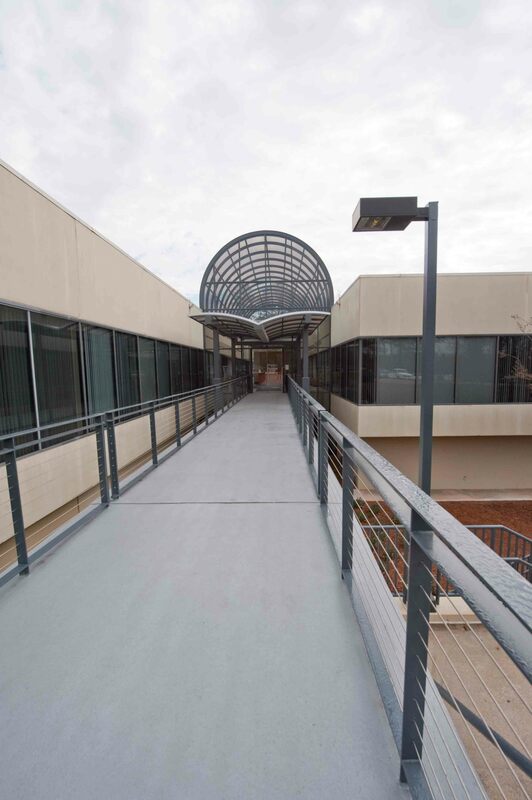 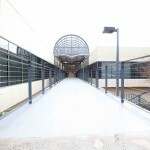 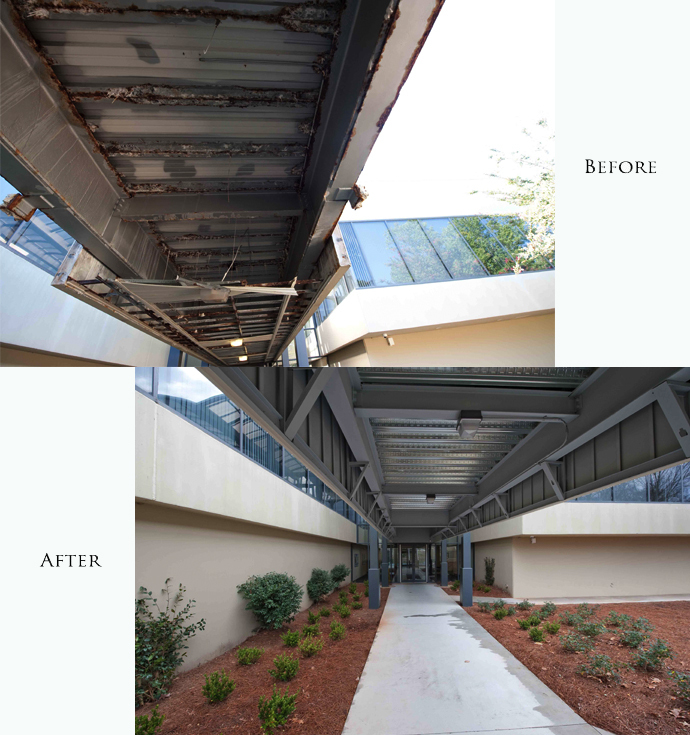 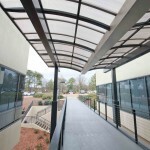 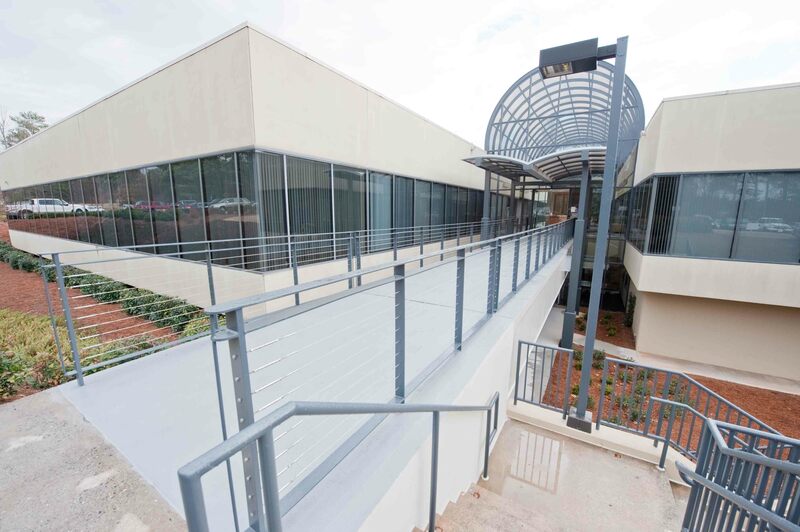 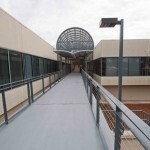 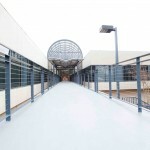 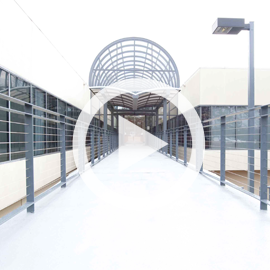 For this project, we removed the compromised pedestrian bridge at international document management firm Recall's national headquarters in Norcross, and built an entirely new bridge. 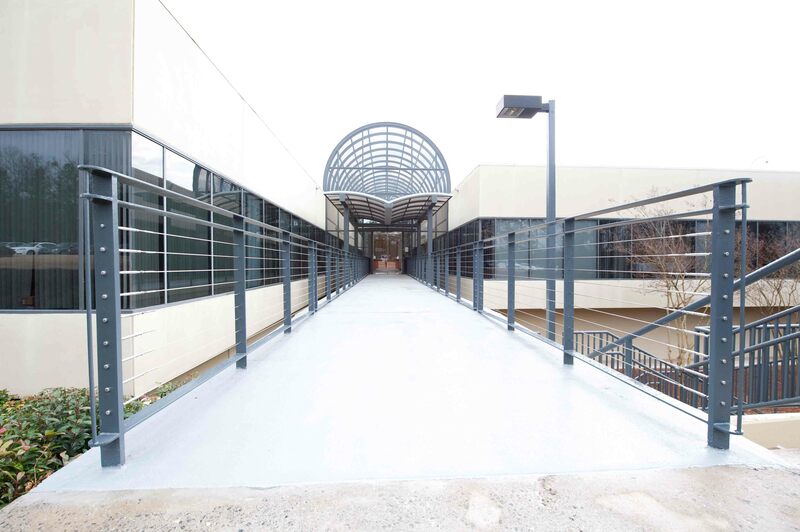 To do this, we fabricated and erected a steel decking, topped it with a concrete walkway and finished it off with waterproofing application. 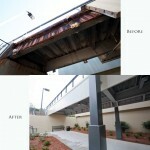 This was a highly surgical process due to the proximity and size of the old bridge. 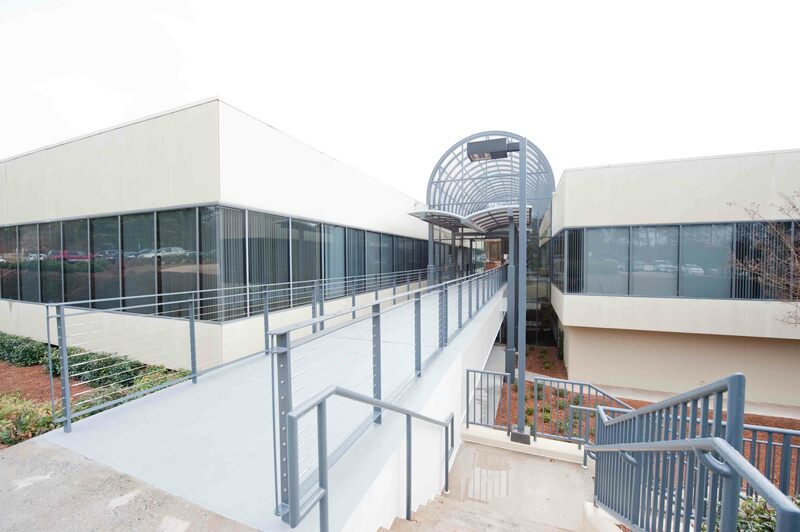 Since this national headquarters office building that houses hundreds of people, the project was also time-sensitive from both a safety perspective and according to the needs of the owner. 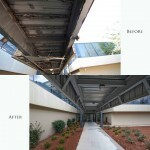 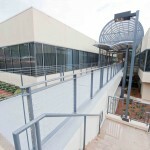 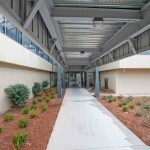 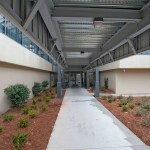 As such, we completed the entire process, from demo to design to completion, in 12 weeks.